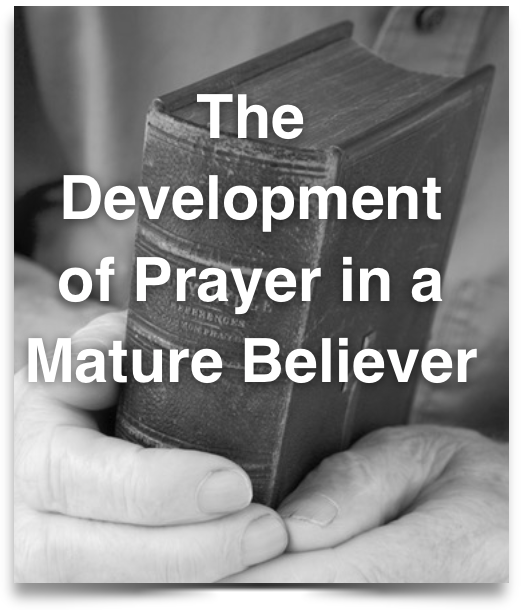 Purpose:The Developing Prayer Life of the Mature Believer analyzes how prayer develops at the last stage of Christian living by identifying what problems occur when prayer does not properly develop and how to strengthen our intimacy with God and bearing fruit at this level of spiritual growth. We have discussed two stages: little children and young people. They are meant to be temporary stages. Those individuals who do not master the lessons of previous stages remain at those stages even though they should be in more mature stages. We know they should be more mature, but they really have not grown through the previous states. They cannot mature until they have learned basic lessons. This is the reason we have many poor leaders. They have never grown into maturity and live by the world. One needs to have developed some measure of trust in God’s good purpose in order to grow. When this trust is for whatever reason not found a good foundation, then our ability to grow in other stages is greatly hindered. We can grow but it is so easy to be pulled back by the evil one. This is the reason new believers must be carefully discipled. Before this is done, more time will be needed to care for these sheep who seem to share more than their share of problems. These disciples can grow, but they need more care and instruction. We can see who these people are when we take a careful look at those in our congregations. In the second stage by repetitious victory we become better able to discern the evil one’s ways and find victory through God’s Word. Having gone through this stage better enables us to know how to lead others to victory. There is no pride here. For in each of these battles, we have come to know the power of truth when fighting the the evil one. We have been strong only when we trust in the Lord and not our own ways. 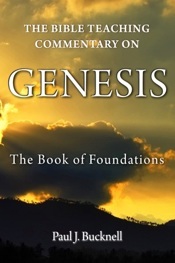 Only the truth of God exposes Satan’s false suggestions and negates his intimidations. God is our strength and without Him, we would be flailing all about. When we begin to recognize the evil one’s tactics and are set on obtaining God’s best, then we have moved into the area of maturity. This stage never ends as we increasingly grow into Christ’s image. This does not mean that we no longer have battles, but that through many battles we have grown more discernment and faith. Just as teens, we manage somehow get into adulthood. Although it can be traumatic, one usually unconsciously goes through the process. One day the young person realizes that he or she is not as young as others! The biggest struggle for the mature believer is to further discipline his time, prayers and ministry so that he can bear fruit. A father, after all, has this name only because he has children. From his life new things have come forth. When we work closely with the Lord, fruit is borne. Sometimes this fruit is in the shape of new believers while many times it is the discipling and mentoring of others. We are establishing the faith of others. We have many good works to do and need His grace to carry them out. Prayer forms an integral part of how we live out our lives at this third never ending stage of Fathers. We live in a spirit of prayer. We are convinced it is through God that this fruit is borne. As we read this familiar passage, note the place prayer has (even though the word itself is not used). “4 Abide in Me, and I in you. 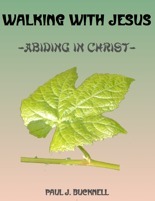 As the branch cannot bear fruit of itself, unless it abides in the vine, so neither can you, unless you abide in Me. 5 “I am the vine, you are the branches; he who abides in Me, and I in him, he bears much fruit; for apart from Me you can do nothing. 6 “If anyone does not abide in Me, he is thrown away as a branch, and dries up; and they gather them, and cast them into the fire, and they are burned. 7 “If you abide in Me, and My words abide in you, ask whatever you wish, and it shall be done for you. 8 “By this is My Father glorified, that you bear much fruit, and so prove to be My disciples” (John 15:4-8). We sense that abiding has to do with prayer. Having His words abide in us often happens when we are meditating and listening to Him. Of course, the ‘asking’ is prayer better know as petition or supplication for others. Did you notice how the Lord wants to work through our lives? He wants to bear much fruit. 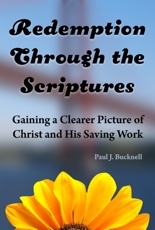 The Lord carries out His appointed works through our lives and so others know that we are His disciples. This fruit includes leading people to know the Lord but do not forget it has to do with acting patiently and kind instead of bursting out in anger. While godly character is gained in stage #2, it is refined in stage #3. Opportunities to bear fruit happen wherever we go, whether driving on roads or in our bedrooms. Now let us look more closely at some special functions of prayer. I could have placed this item of admiration and adoration at any of the three levels. At each stage, the admiration deepens as our faith and experience grows. In the first, we admire one who would be so gracious to saving and choosing us. 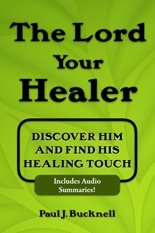 At the second level, we admire Him who has so well equipped us to protect us from the enemy. We are not robots. He desires us to gain confidence in Him. Here in this third stage, our admiration for Him is heightened as we see Him willing to bear fruit in our lives. We can not do without Him. He somehow chooses to carry out His work through our lowly lives. We are amazed and in increasing ways give praise to Him. Praise, like we see in the Psalms, is a prayer. Those thoughts that relish His goodness and care for us are all prayers. They are sweet thoughts lifted up as incense to the Lord. “May my prayer be counted as incense before Thee; The lifting up of my hands as the evening offering” (Psalms 141:2). In our conversations with the Lord, we will share our difficulties. David often does this. “For the enemy has persecuted my soul; He has crushed my life to the ground; He has made me dwell in dark places, like those who have long been dead. Therefore my spirit is overwhelmed within me; My heart is appalled within me” (Psalms 143:3-4). It is not weakness to admit our true circumstances. We do not need to look like we have everything in hand. The opposite is true. If we pretend control, then we will be broken. But if we admit our frailty, then we can find strength in the Lord. At the end of our time, we do not end up in self-pity (which is a form of sin and doubt) but with words, “I trust in Thee, Teach me the way in which I should walk” (Psalm 141:8). There is resting confidence, hope and peace. 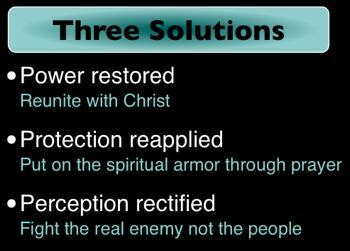 We do not pretend to have our own solutions but trust the Lord for that victory. There might be many threats to our lives, but remember it is the Lord who destines the end of our life, not the enemy. After listing the pieces of spiritual armor, Paul commends us to pray at all times for ourselves and others. But notice the next verse, “And pray on my behalf, that utterance may be given to me in the opening of my mouth, to make known with boldness the mystery of the gospel” (Ephesians 6:19). 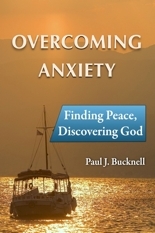 Paul himself deeply realized his need for prayer. Even the great apostle lived on the prayers of others. There is no greater blessing than to be lifted up in the prayers of others. People from around the world say and do pray for my ministry. Difficulty comes in when we need to persevere in prayer. Persevering in prayer becomes necessary when there does not seem to be anything happening, no fruit, no nothing. "I cannot insist too strongly on my own helplessness among these people apart from the grace of God. Although I have been now ten years in China and have had considerable experience with both Chinese and Lisu, I find myself able to do little or nothing apart from God’s going before me and working among men. Without this I feel like a man who has his boat grounded in shallow water. Pull or push as he may, he will not be able to make his boat move more than a few inches. But let the tide come in and lift his boat off the bottom-then he will be able to move it as far as he pleases, quite easily and without friction" - J. O. Fraser. We must pray and pray more. I am not suggesting mere ritual or repeating of words. It is in requests that we bring to God our requests that change the world. There is not magic in our words, but as His children in Christ, God delights in hearing our requests. When tested with not seeing anything happening from our prayers, our vision is first tested. How much do I want it? This is a testing ground. As we wrestle with these issues, we come back in deeper faith with regards to what we want and our need for God to answer. This is how burdens develop and we persevere in doing what is right. Such was the case with J.O. Fraser who prayed much for the Lisu but was greatly discouraged. Only after much time, did he see much fruit, some of which is still coming to light today. We are to bear fruit. The father is called a father because he bears forth children and cares for them. 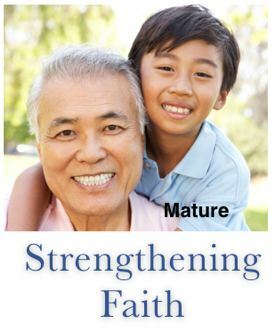 The mature believer realizes that he lives in a world filled with spiritual realities. “For our struggle is not against flesh and blood” (Ephesians 6:12). We must get this picture if we are to succeed. Just as a man and wife must come together to bear fruit, so the church and the Lord must share intimate communion times. These intimate times must include prayer, the sharing of words. Much can be said here. God’s work is always amazing. We should realize that the Lord does things in ways we cannot even imagine. He does these amazing works at times we do not expect. Recently, I was preaching out in a field with tents in the middle of Africa. From the main road we traveled in a car about 10 minutes along a red dirt road until we got to the run down little building called the ‘center.’ There was a school at the main road but along the way we only saw two houses I believe. From the center where the tents were set up, I only saw fields. 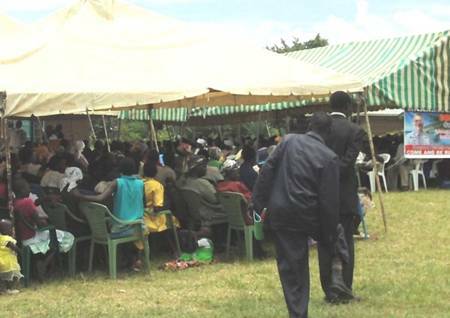 But when the three day marriage seminar started, people started to pour in from everywhere. I do not know where they came from. It was amazing. We had 500+ people there one day. On the second day, people were sharing testimonies of God’s work in their lives. This was His abundant fruit which teaching of His truth on marriage brought. God was working in many hearts. How amazing and wonderful to see God take His truth and bring healing to these people’s marriages. Even more surprising perhaps is the way many came to know the Lord through the marriage seminar. I suggested during the 3 day marriage seminar that this is the best time to understand God, His purposes and salvation. I shared the Gospel truths as they were revealed in God’s design for marriage. Afterwards, a pastor made an altar call to come to know the Lord. Many came forward to become believers. On a level of 1 through 6, evaluate ways God is working in your life. I have learn to persevere in prayer. I regularly disciple or mentor others. List the areas that you are bearing fruit. Have you learned to praise Him when there is not much fruit? Our prayer lives grow as we spiritually grow. We need to be careful of certain things early in our spiritual lives that might hinder us from spiritual growth such as bitterness or misunderstandings of God. 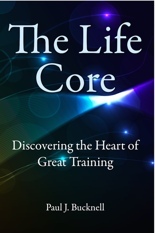 With proper training in the early stages, one can easily grow in one’s prayer life. It is here in our prayers that we draw close to God, seek Him, make requests of Him, bear fruit with Him and glorify Him. Each stage of spiritual life will largely shape what we will be learning about prayer for our prayers reflect what we are learning. This concludes this series. We encourage you to share your insights of prayer with others. Other BFF resources on prayer are below.